NO PASSES. This is a separate ticket event.This screening is a fundraiser benefit for Coney Island USA a 501(c)(3) not for profit arts organization at the beach! Suggested donation is $12, but we ask that no donation be smaller than $12. Purchase at the box office (cash or credit) Friday 9/19, 6pm - 10:00pm, Saturday 9/20, 12pm - 10:30pm. We are screening the original 1979 theatrical version. WARRIORS, COME OUT TO PLAAYY YAAAY. The leader of New York's biggest street gang declares a truce, and gangs from all 5 boroughs venture to the Bronx for a clandestine meeting. When an assasination takes place, one gang stands wrongly accused and the truce is off. 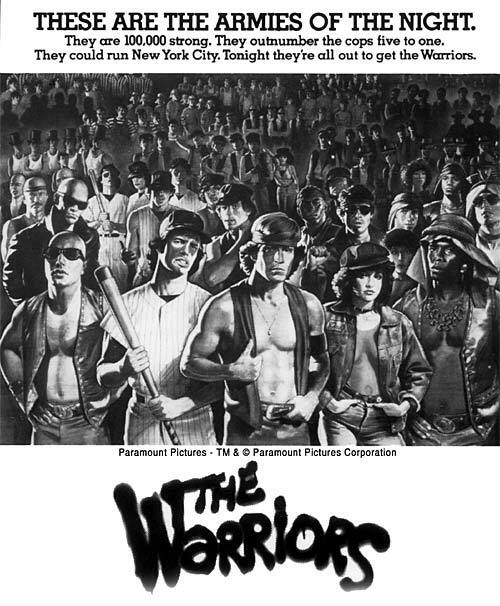 Now they must fight they're way back home to Coney Island, because a whole city is gunning for - The Warriors! 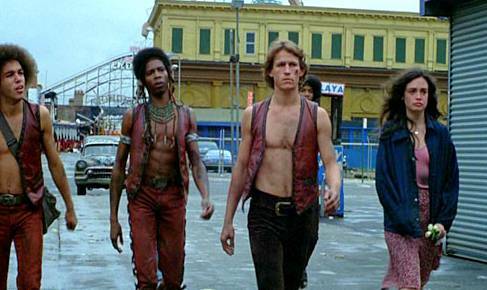 A Coney Island cult classic. Every year we pack the house and wouldn't you know it, it becomes an interactive film going experience! People reciting lines, loud applause, clanging beer bottles. CAN YOU DIG IT?? Advance ticket purchase strongly suggested to avoid sell out. We are the only venue in the Coney Island Amusement zone to screen this Coney Island Classic. See it in the actual neighborhood it was shot in!